Spanish lessons are priced at an hourly rate, with a discount for lessons at my premises (Kentish Town) and even more convenient…if you take them in 10 lessons block. Tuitions can take place Monday to Friday from early morning up to late evening. Saturdays, a special rate applies (typically a 25% extra, on your chosen class). 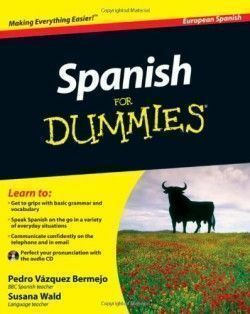 Also Spanish with a partner or friends it will incur in a minimum £5 surcharge, if you need me at your home or work place. Blocks of ten or pay as you go lessons are to be paid in advance. Typically, you could pay for your first class on pay as you go basis and, if you are happy to go for a first 10 lessons block, then you can pay for it by bank transfer, cheque or cash before the next class. Should you book on pay as you go basis, there is always ‘a class in advance’ to be paid for. If needed, just give me at least 24h. notice to cancel or reschedule for another day/time. Learn Spanish with your partner or friends from £17.50 per hour per person…2 to 3 students. Study Spanish together and practise together whilst you enjoy. Tailored fees for your Spanish tutorials are available for intensive terms/lessons. Fees start from £50 per 1000 words. Fees start from £60 per hour plus transport expenditures. "My son John and I have enjoyed studying Spanish with Pedro, for almost one year. He is very reliable, on time and well-prepared. When John needed to pass his DELE exams, Pedro tutored him intensively. We were very happy when he passed the exam with such a good results. I would like to recommend Pedro, and his tutorials: SpanishTutorLondon.co.uk, to any Spanish language seeking student, living in London." "Pedro is an excellent and responsive teacher. He has developed a methodology which eschews text books while concentrating on encouraging conversational Spanish." "Want to say that your classes was much more than I expected. The information was presented in such a personal and professional manner it was even easy for me to understand."